This cute beach welcome sign will look great hanging near an entryway... a summery way to welcome guests. 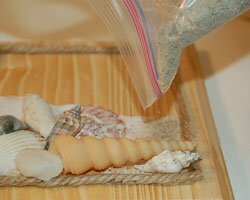 This is an easy craft to make, using seashells and sand you may have collected when you visited the beach. 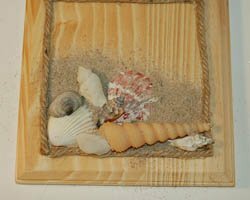 Perfect to sell at summer craft fairs or to make as a gift for someone with a beach home! 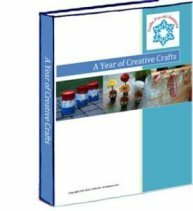 Craft stores sell wooden plaques, already edged and trimmed for decorating, making this as simple as gluing on some fun decorations. 1. 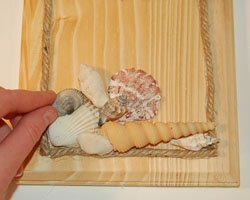 Begin the beach welcome sign by staining and/or varnishing the wood plaque, if you desire. I wanted to go for a natural look so I left my wood as is. 2. Cut four rope strips one inch smaller than the length of the plaque. 3. 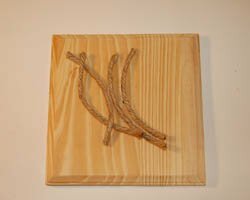 Apply hot glue in a straight line along each side, and adhere the rope strips to the glue to form a square border, slightly smaller than the plaque itself. 4. 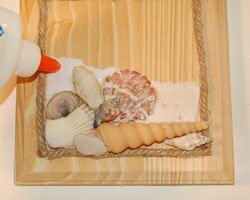 Next, pick out several seashells in different shapes and colors. 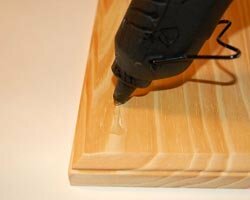 Begin to attach these to the wood plaque with the hot glue gun. Overlap them slightly. Keep them inside the rope border, and along the bottom. You are trying to mimic a beach scene here. 5. 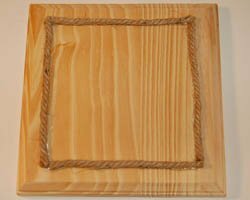 Apply regular white glue to the bottom of the wood plaque, inside the rope border. You want to mimic the look of a sand beach. You will be adding sand to this glue. 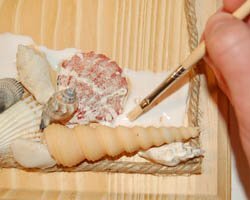 Then, use a paintbrush to spread the glue in between the shells well. 6. Pour some sand all over the glue. Push the sand into the glue slightly with your fingertips so it adheres well. Then allow this to dry well, undisturbed. When you are sure it is dry, turn it upside down over a garbage can (or outside) and shake it to remove excess sand. 7. 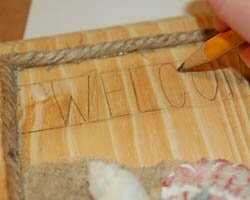 Using a ruler as a straight edge, write the word "Welcome" with a pencil, along the top, but below the rope border. Use stencils if you have trouble doing this free hand. 8. Paint over the WELCOME with white acrylic paint, and allow to dry. Then, erase any left over pencil marks that can still be seen. You can also paint a white border if you like, around the beveled edge of the plaque. 9. 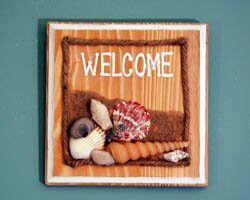 Add a picture hanger on the back of the plaque for hanging your beach welcome sign.